Fortnite is reaching the end of Season 6, and with the start of Season 7 later this week, we’re sure to get plenty of bizarre surprises. In keeping with the game’s topical approach to seasons, which has included special Halloween gear in the past, Season 7 will be as chilly as the current weather. The official Fortnite Twitter account posted a tease for Season 7, which showed a shadowy figure made of ice, on December 3. It appears to be wearing a crown, also made of ice and meant to resemble antlers. The announcement comes three days ahead of The Game Awards, but it looks like this is a coincidence rather than a chance for Epic Games to make a huge announcement during the show. Fortnite‘s sixth season kicked off on September 27, and it included new pet companion characters, more changes to the map, new weapons, and mysterious objects, and inter-dimensional changes that have left players scratching their heads for months. Smaller changes have been rolling in since the season officially began, including more weapons such as dynamite, a limited-time item-gifting feature, and several new limited-time competitive modes. 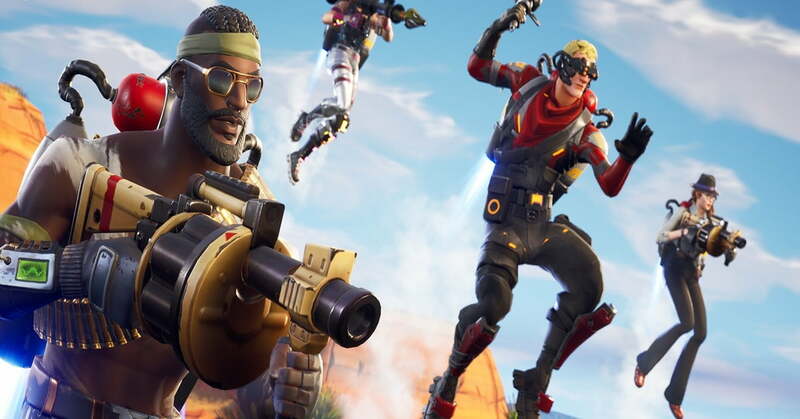 Most recently, Epic Games made the decision to permanently extend its Support-A-Creator program, which gives your favorite streamers and YouTube creators a cut of the V-Bucks you spend on something in the item shop. To activate it, all you have to do is select “Support a Creator” in the item shop, type in the user’s name, and then buy the item you were planning to buy. It doesn’t matter if the V-Bucks you spend were bought or earned through normal play, as the share they get is the same. There is a gargantuan list of creators to choose from at the moment, including big names like Ninja, though we’re pretty sure he doesn’t need the extra currency to buy the skins he wants. Fortnite is available for free on Xbox One, PlayStation 4, Nintendo Switch, PC, Mac, iOS, and Android. Stay tuned for more concrete details on Season 7 as they’re announced, and keep your eyes peeled for any weird changes you see in the game this week.